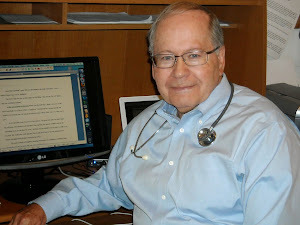 I'm pleased to have the opportunity to interview prolific author, teacher, and recovering lawyer--James Scott Bell. 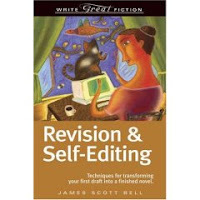 Jim has a new book on self-editing and revision and I wanted to let him share his thoughts about that, as well as a bit about his fiction work. I owe a great deal to James Scott Bell (and I'll send the check next payday, Jim--I promise). RM: Jim, your book, Write Great Fiction: Revision and Self-Editing, published by Writers Digest Books, is coming out in early May, and I’m looking forward to reading it. Can you tell my readers a bit about what they can expect with this book? JB: I wanted to provide writers with an organized approach to revision, a way to rework their material so they have the best chance of improving it. If we don’t watch out, revision can get sort of chaotic, and you end up splitting up your time in an unhelpful way. The self-editing part is both instructive for newer writers and a kind of checklist for more experienced ones. We can all use reminders from time to time. RM: Your earlier book on writing, Plot and Structure, is a classic “must read” for writers. My copy has so many yellow highlights it looks like it has jaundice. Is it necessary to read Plot and Structure before Revision and Self-Editing? JB: No, although I do have a section on Plot in Self-Editing that had to be truncated for space purposes. The two books together represent just about all the most helpful material I can give within the confines of two covers. Or is it four covers? RM: Not only are you a great teacher, you write excellent fiction. I know that this book will have a lot about fiction writing in it, but is there anything in this book that would be applicable for writers of non-fiction? JB: Absolutely. I constantly extol the benefits of fiction writing techniques to non-fiction writers. It's essential in this day and age, when story is the vehicle that carries information. Look at the way newspaper features are written, and you'll see the way material is shaped in this fashion. Some of the best storytelling is being done in non-fiction these days. And some of the best fiction is being written in memoirs! Go figure. RM: Since I last interviewed you here, you’ve released another fiction work, The Whole Truth. I’ve had the opportunity to read it and highly recommend it. Any comments about The Whole Truth? JB: I loved doing this book, as I got very involved with the lead character and his backstory. I've always been fascinated with how the past impacts the present, and this was one way I could explore that theme. The germ of the idea came from the Elizabeth Smart kidnapping case. Her little sister was in the bedroom at the time. I got to wondering what effect that would have on the sister. So I started the book in the past, with two brothers sharing a room. And the older one is kidnapped. And then some bad things start to happen. Then we cut to 25 years later to see what impact that has had on my lead character, a struggling lawyer. RM: I have nothing but high praise for your first novel for the mainstream market, Try Dying. I can hardly wait for the next Ty Buchanan book. Tell us about your experience crossing over into the general market. JB: It's been nothing but positive. It's fiction either market can read and enjoy. Try Dying has introduced me to a new group of fiction readers, and also given me the chance to sign books and rub shoulders with some of my favorite writers, like Harlan Coben, Robert Crais, John Lescroart and T. Jefferson Parker. (If people go to my website and click on the "I'm Feeling Lucky" link, some pictures will pop up). RM: Any last bits of advice for my readers? JB: Your readers are blessed to have a guy like you out there, as am I. Your love of fiction is infectious. So I'd advise your readers to keep that same enthusiasm burning inside them. Make writing an act of joyous energy. Write hot. Then revise cool. I think Revision & Self-Editing will help in that regard. Jim, thanks for the kind words and for the way you give so unselfishly to teach and mentor. I look forward to studying Plot and Structure. I've written before about submitting to periodicals. 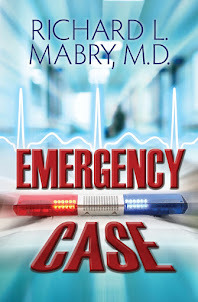 It's an excellent way to flex your writing muscles and to get into print before you receive "the call" about the manuscript of your novel or non-fiction piece. I've been fortunate in this regard, and I intend to keep at it. I returned from vacation to find a couple of envelopes from the Upper Room devotional guide. One included a check for $25 in payment for a devotional that will appear in the July-August 2008 issue. The other told me that a devotional of mine that they'd been holding will appear in the March-April 2009 issue. I've been published a couple of times a year in Upper Room for several years, and it always gives me a thrill to get emails telling me they've seen and appreciate my work. You may not think that being published in a devotional guide is big stuff, but compare the sales of a typical novel or non-fiction book with the circulation of 2.5 million that this little magazine has. All this prompted me to put my other writing aside and craft a couple more devotionals to submit. That's been my practice in the past. When one is accepted--or rejected--I send another. Keep those submissions out there, whether to a periodical or to an editor or agent. That's our part of the bargain. The rest is in God's hands. I'm content with that. On the plane trip over, Kay and I talked about the fact that our trips to Maui had always seemed to include some kind of affirming sign about my writing. It was in Maui (in this condo, matter of fact) that I retrieved a voicemail message from an editor, telling me that he wanted me to revise my first novel so he could take it to the pub board. Never mind that the board rejected it, and that he's now at another publishing house. (And I hope the two events aren't connected). It was a positive sign. The next year, I received an email from Kregel while we were here, offering me a contract on my non-fiction book, The Tender Scar: Life After The Death Of A Spouse. That was a really affirming moment, and it's set into motion a train of events that has totally changed my life. Big positive sign. Last year we were here with another couple. I didn't do any writing to amount to anything, and didn't think much about the lack of a "sign." This year, I wrote only a little bit, but Kay and I prayed and talked about a change I'm planning to make. We felt that it had been pinned down pretty well, and I was content to consider that my "writing sign" for this year. But God had other ideas. Yesterday, after I'd already posted on this blog, I got an email from the editor of In Touch magazine. I'd queried them about a piece I wanted to write, and they invited me to write it "on spec"--that is, no guarantee of acceptance, purely on speculation. I hadn't heard from them in six months, and frankly I'd forgotten about the work until the email yesterday informed me that they'd like to buy it. It's a different look at Simon Peter. Look for it in the August issue of the magazine. God's always ready with a surprise, isn't He? Now we're off to catch a plane for a long ride home. Thanks for reading. For those of you who've noticed that I haven't posted for almost a week, Kay and I are on vacation. I've needed this time--time to think about my writing, to pray about the direction I'm taking--and it's been good. 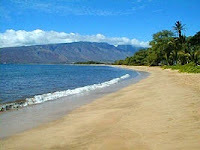 We've walked on the beach, rested, read, enjoyed the atmosphere of Maui. I've written...not as much as I'd like, but enough to see where my current work-in-progress is going. Writing is so much more than putting down a bunch of words. As I've railed about before, it involves a bunch of rules. Some of them seem silly to me, others make good sense, but whether we follow them or break them, we need to know them. Then there's the type of writing we do. Is it non-fiction or fiction? Romance, suspense, science-fiction, or what? Over time, there's a very real risk of letting our writing move slowly away from what we love and feel called to write into "writing for the market." Personally, although I agree that any writer must know what is publishable, altering your writing style and content to please a particular editor, publisher, or even agent is akin to trying to time the stock market. It's doomed to fail. On our daily walks on the beach, Kay and I have talked a lot about where I've been and where I'm going with my writing. Tomorrow it's time to get on the plane and make the seven-hour flight back home, where I'll have to put into practice the decisions I've made while I'm here. Well, I finally won something. Agent Rachelle Gardner proposed a two-part contest: submit a suggested first line for a novel, then use one of the top openings to write the first three hundred words of a novel or story. My opening line was the winner in the first phase. Although my subsequent story opening wasn't one of the finalists, I don't feel bad about it because the winner of that phase did a fantastic job. You can read all the details by using this link. Start at the bottom and scroll upward to see the contest information and results unfold. Meanwhile, I thought I'd share my opening line and where I went with it. Things were going along just fine until the miracle fouled up everything. If he caught the veiled warning, he showed no signs. Good old Randy. Maybe he still halfway believed in what I was preaching. Then again, his belief might have been centered in my threat to turn him in and collect the reward if he ever got out of line. I waved him away and started putting the finishing touches on my “preacher costume.” Gleaming white suit, starched white shirt, white tie with a knot the size of an almond, white shoes. Nothing like white to give the rubes the illusion of purity. I checked my hair in the mirror. The jet black pompadour was perfect, but if my hairline receded any more I was going to have to get a rug. Maybe I’d pray that my hair got thicker. I choked back a laugh. Now I sounded like those gomers who crowded into the tent every night. I picked up my Bible and checked my notes. Where were we tonight? Oh, yeah. Dubuque Who’d have thought there was so much money in Iowa? I know what comes next. Can you guess? I've seen a lot of things in my life, things that were only dreamed of a short hundred years ago. I saw the first man step onto the Moon. I was on active duty in the Air Force (at an alternate landing location) when the first orbital flight took place. I've seen images from Mars sent back by the Hubble Telescope. And tonight, thanks to prodding from my wife (who is a true space junkie--but I love her, anyway), I saw the International Space Station fly overhead. It looks like a very fast, very bright star moving through the sky. It was gone in less than a couple of minutes, but it was a thrill to see it. Not long ago we stood in our front yard and watched the Space Shuttle and then the Space Station trace bright paths across the sky. Amazing! If you'd like to see the Space Station as it flies over your home, follow this link and then enter your location. This was extra special to me, because I've just finished reading (in succession) Tess Gerritsen's Gravity, followed by Alton Gansky's Zero-G, both great stories of space exploration. I highly recommend them to you. While reading them, I couldn't help thinking that if I'd read these as a teen-ager, I'd have dismissed them as pure science fiction. Now they're as real as tomorrow's headlines. It sort of makes me wonder what's out there for us in the future. Hope I'm around for a while to see. There are only a few blogs that I routinely read every day. If I did more than that, I'd spend all my time surfing the web (and have less time for golf...or writing, of course). One of the best blogs out there is that of literary agent Nathan Bransford. His post today is about finding a literary agent. Bransford's down-to-earth wisdom is a refreshing read, and I suggest that all you writers out there check it out. He also has a great template for a query letter. Another good blog for writers is that of editor-turned-agent Rachelle Gardner. In addition to her "private" blog, she has a professional one that offers a great deal of practical help. Her post today is about queries. She's also recently posted about conference etiquette (hint: don't give your pitch to an agent or editor in the bathroom) and other stuff. Although he doesn't post on a daily basis, the blog of agent Chip MacGregor has some good stuff, usually about the publishing industry. Chip frequently spices his posts with opinions that are, shall we say, definite. But always worth reading. There are other great blogs, from agents, editors, and writers. Don't read anything into my picking these--they just happen to be the ones that have seemed most useful to me recently. Do your own shopping. Make a list and then use RSS feed or Google Reader or bookmarks or something to set up your reading. Set the egg timer or alarm so you don't spend all day. Then start putting into practice what you've read. Write! That's what I'm about to do. See you later. If you're a golfer, I'll bet I got your attention with the title of this post. And if you're not a golfer, I suspect you still recognize the name. Tiger Woods is an amazingly gifted athlete. Right now he's on the top of his game. Every golfer would like to play golf like Tiger Woods. But I had to laugh when I read the latest issue of Golf Digest. The cover hyped an article on Tiger's "Three Keys For Every Shot." The implication was that, if you just followed these tips, you'd soon be playing just like Tiger. No, sorry. It doesn't work that way. These tips work for Tiger. And in his case, they're combined with a gift of natural athleticism and a lot of hard work that goes back a number of years. Other golfers may not have Tiger's fluid swing, but they're successful. Take Jim Furyk. He's a perennial member of the top tier among professional golfers. And his swing is best described as looking like a one-armed man trying to kill a snake in a phone booth. But it works for him. And he's invested a lot of practice perfecting it. What, you may ask, does this have to do with writing? Quite a bit, actually. I've been writing long enough to be able to spout all the rules back to you. Avoid passive voice. Keep point of view consistent. Kill off the adverbs. Never start a sentence with the present participle of a verb ("Running into the room, he said....") And on it goes. These are all decent rules. By and large, it's good to adhere to them, especially when you're first starting out. But following the rules won't make you write like Ernest Hemingway, any more than following Tiger's three rules will help you shoot a round of seven under par. I am a voracious reader of fiction. Many of the authors whose work I enjoy are considered masters of the craft. And from time to time I discover one or two exceptions to the rules I've just quoted. A deal-breaker? Do I toss the book aside in disgust? By no means. 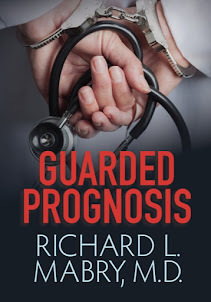 In most cases, the writing is so good, the plot so smooth, the hook so strong that I would happily plow through a dozen exceptions to "the rules" to finish the book. To sum up, there are no three rules for writers that guarantee success, any more than there are three for golfers to assure amazing results. They help. That's all. It's a delicate balancing act we do when we undertake to write fiction. We need to adhere to the rules as we develop our writing muscles. On the other hand, trying to write with a book for writers open on the desk as a master blueprint will kill our work faster than an editor with a dozen red pencils. As Yogi Berra said, "You can see a lot just by observing." That is true of good literature. Read the books for writers, learn the rules. Then delve into good fiction and see how accomplished writers apply the rules--and sometimes break them. The image is a "fire rainbow." For it to be formed, conditions have to be just right. I don't know how many rain events it takes before one of these occurs, but however many there are, it seems to be worth it. Truly, "the heavens declare the glory of God." In writing, some days are rainy--actually, lots of days are rainy--but then we get a rainbow and it inspires us to plod on. I got a rainbow when I was privileged to do an autograph party (with 39 other authors) at the Gathering of Church Bookstores. If you haven't already done so, you might check out my last post, which talks about the experience. Then came the rain. A publisher turned down a proposal for a non-fiction book I'd like to write. As if that weren't enough, they'd already turned it down once. This just came from a different editor. I guess they wanted to be sure! Unfortunately, this isn't a new experience for me. A well-respected Christian publishing house did the same thing to me when I first started writing. I sent a proposal for a novel, they requested a full, then they turned it down. Not long after, I got another request for a full manuscript (from another editor at the house), and they turned it down again. There's a lesson there, somewhere. Like Steve Laube's story of an author whose rejection notice came FedEx. Talk about kicking someone when they're down! But then I got another rainbow. I get about one email a week from someone who's read The Tender Scar: Life After The Death Of A Spouse and been blessed by it. I received a couple of those this week and was reminded that, even if I never have another book in print, this one has touched multiple thousands of lives. And for this I am grateful. I thought I was going to relax and work on my golf game when I retired. God had other ideas, and so now I pound away at this computer, working on both fiction and non-fiction and hoping for a rainbow amidst all the rain that goes with writing. Thanks, God, for another rainbow. Now, since I'm ready for a bit more rain, I'll get back to my writing.